Competition horses are subject to stress from schooling, travelling and work load. This combined with large amounts of concentrated feed can result in the stomach becoming irritated and sensitive, resulting in a loss of condition and performance. 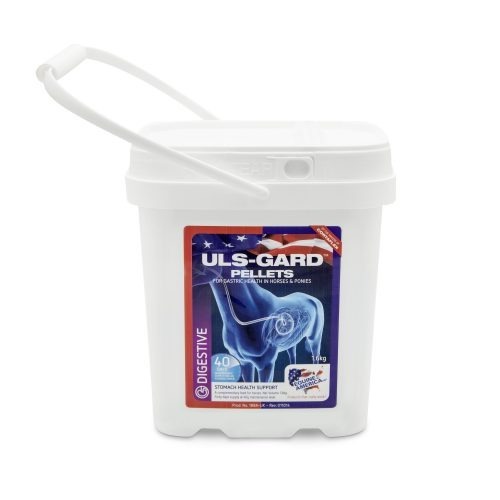 Uls-Gard contains ingredients to soothe and coat the stomach, providing support against these stresses. Uls-Gard should be added to each feed for all competition horses, and those on high concentrate diets. Uls-Gard can continue to be fed whilst the horse is in competition. Uls-Gard Solution to be used for maintenance and can be given orally to foals prone to loose stools.